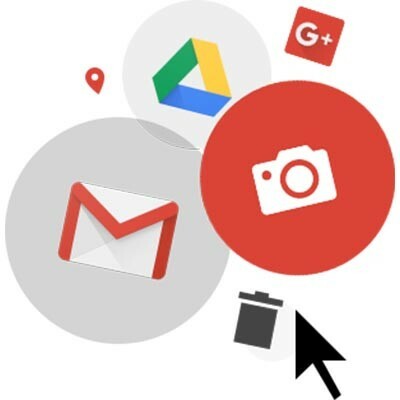 Why Protecting Your Google Account Should Be a Priority - Decatur Computers Inc. Blog | Decatur Computers, Inc. While the Internet has been about sharing information, many users out there trust it to keep their personal data safe and accessible only to them. Understanding the origins of the Internet and where it’s heading are both critical to keeping your Google account’s best interests in mind. The modern Internet has largely been implemented in this way. It is a space where there is no centralized point of control, which promotes an accessible environment that isn’t prone to censorship (easily, at least). Considering how the Internet is built to share information, it’s laughable that anyone can keep anything on it private. As the Internet changed and evolved, security and privacy became more of a necessity. Much of the data sent along an Internet connection could be seen as confidential, so a method to keep it secure while in transit is required. These developments eventually created a situation where an “internal openness” was created--sort of like a microcosm of the Internet itself, only internally for a business or user. Data could be shared on a need-to-know basis, but it wasn’t a pain to do so. It’s even possible to use the Internet for personal connectivity and growth. These reasons, and many more, are why Google has become such a force to be reckoned with in the technology space. While Google was originally most known for its search engine, it has since evolved into countless other productivity solutions, including its G-Suite of applications for business: Google Drive, Google Docs, Business Directory, Google Maps, and more. Even those using Google for their own private purposes can take advantage of these services. For example, Gmail is used by both business professionals and individual users to an immense degree. How heavily does your organization rely on Google? How much do you use it in your everyday life? How much trust do you place in this singular account? To take a look at how Google affects a user’s computing infrastructure, let’s dig a little deeper into what it offers. A key part of why Google accounts are so effective for users and professionals is that one account is used to access countless Google services. All you need to do is log into your Google account and you’ll have access to not just Gmail, but other services associated with it. Some online services even offer the ability to help you make a new account using your Gmail account, making it easy as can be to get going. For the sake of simplicity, many people just use their Gmail account for all of their accounts, which make sense to a degree. After all, Google has adequate security standards, and the convenience of Chrome saving passwords cannot be overlooked. Unfortunately, all of this combines to create a situation where any accounts created using your Google account will be forever linked to that account, meaning that anyone who has access to your Google account will then be able to access any accounts created by it. For an idea of how many accounts are accessing your Google account, you go here and navigate through Sign-in & Security > Apps with Account Access. You will then see all the applications that have access to your account, including any websites that might have credentials saved by Google Smart Lock. What’s your list look like? If it includes your bank, you could potentially fall victim to financial fraud and abuse. For example, if someone has access to your email, they could change your password, gaining access to any accounts linked to it. In other words, your email could become a gateway for hackers and other cyber criminals to access your important accounts and services. Granted, the convenience of using your Google account for these services makes it irritating at best to avoid using it, so the only alternative you have is to seriously consider security measures to place a safety net around your account. While there isn’t an automatic Google system to automatically protect it from threats, you do have us to help you out. We’ll discuss how you can go about reducing the odds of your Google account falling prey to hackers and security threats. It’s important to remember that in order to optimize your Google account’s security, you have to put in the work. This means consistently applying what you learn today to take an active role in your account’s security. Here’s a list of what you can do to keep your Google account locked down from threats. Passwords are the cornerstone of improving your account’s security, and you should always exercise best practices when choosing a password. However, you also want to consider where you’re accessing an account from. For example, you don’t want to access your Google account from any public points of access. These kinds of endpoints are notorious for having malware and other dangers lurking just beneath the surface. To truly minimize the risk of your Google account falling prey to these threats, you’ll have to minimize your use of your Google account in public places or on a public Wi-Fi signal. Two-factor authentication can go a long way toward keeping your account secure. There are multiple kinds of 2FA methods available, but one of the most interesting ones is Google Authenticator. You can use one-time authentication codes that you can use if you don’t have access to your mobile device in the moment. These can also be reset at any time, keeping your security managed and up-to-date, even if the list is lost. For more information about how these security features work, as well as how to set them up, log in to your Google account. Security has never been as important as it is today, so take steps now to keep your Google account secure. To learn more, reach out to us at 217-475-0226.